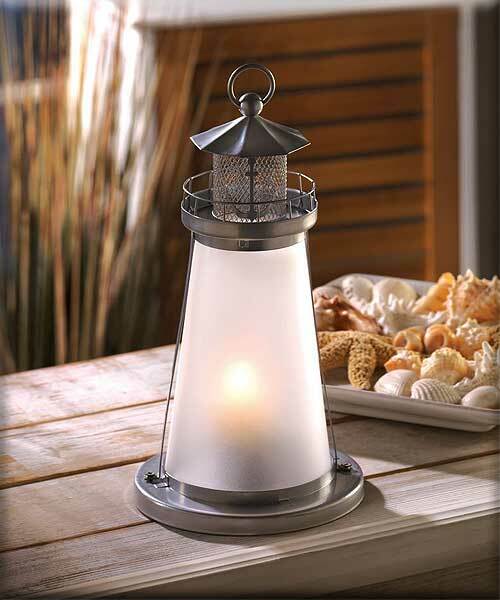 Stock# - 13789 Lookout Lighthouse Candle Lamp - Brighten your evening with a cheery seaside glow; just add a votive inside this miniature lighthouse and enjoy the ambiance! Quaint metal sculpture makes a pretty display, even during the day. Iron with frosted glass. Candle not included. 5" diameter x 10" high. 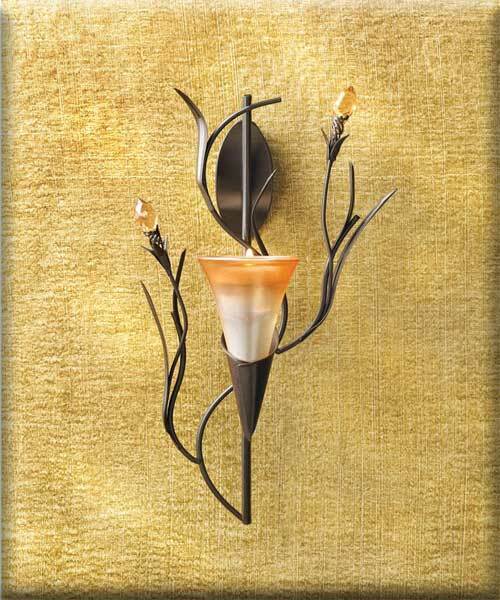 Stock# - 13922 Dawn Lily Wall Sconce - A single lily blossom in a delicate sunrise orange makes a colorful centerpiece among twining vines and crystalline buds. With the addition of your favorite tealight candle, this lovely wall sculpture becomes a stunning combination of graceful form and gorgeous glowing light! Iron, glass and acrylic. Candle not included. 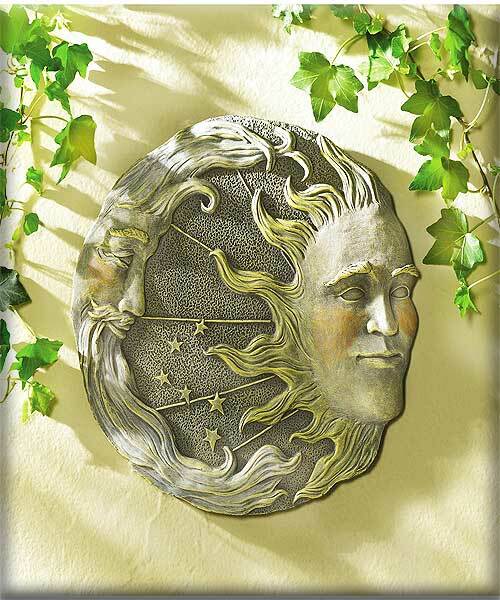 Stock# - 32269 Celestial Wall Plaque - Intricate details lend astral glory to this starry stone-look moon and sun plaque. Alabastrite. 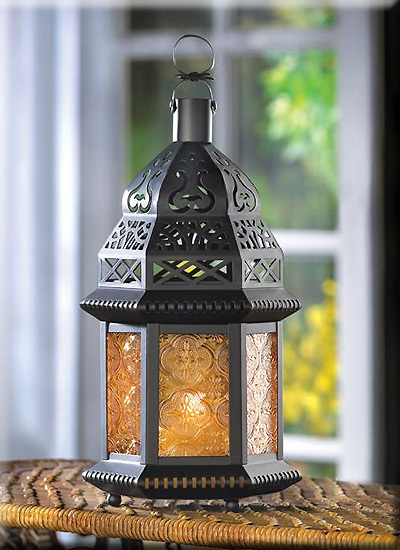 Stock# - 37437 Yellow Glass Moroccan-Style Lantern - Visions of an exotic market are brought to mind with this entrancing candle lantern. May be hung or placed on a tabletop or floor. For use with tealights or votive candles only (not included). Metal and glass. 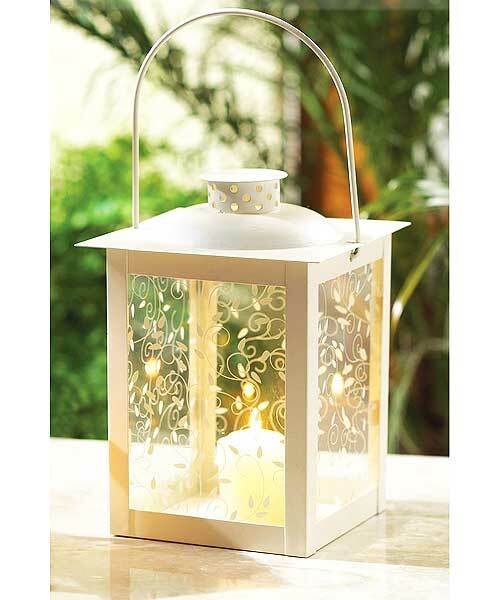 Stock# - 37441 Large Ivory Color Glass Lantern - When lit from within by candlelight, these old-fashioned lanterns are a true delight! The panels' gracefully curling vine design takes on a magical glow. 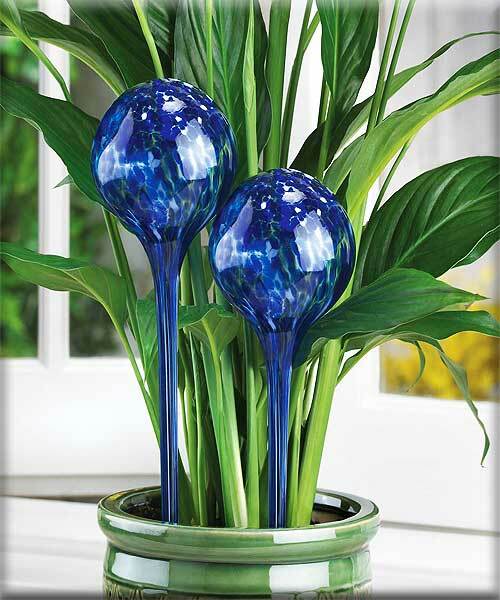 Perfect for adding special sparkle to your next garden party! Metal and glass. 5 3/4" diameter x 8" high. Stock# - 33145 Petite Moroccan Candle Lamp - Cluster these enchanting cut work candleholders together for a magical table setting, or line your garden walkway with dancing light and color. Uses tea lights or votive candles (not included). Metal frame with amber color glass. 4 1/8" x 3 5/8" x 10 1/4" high.